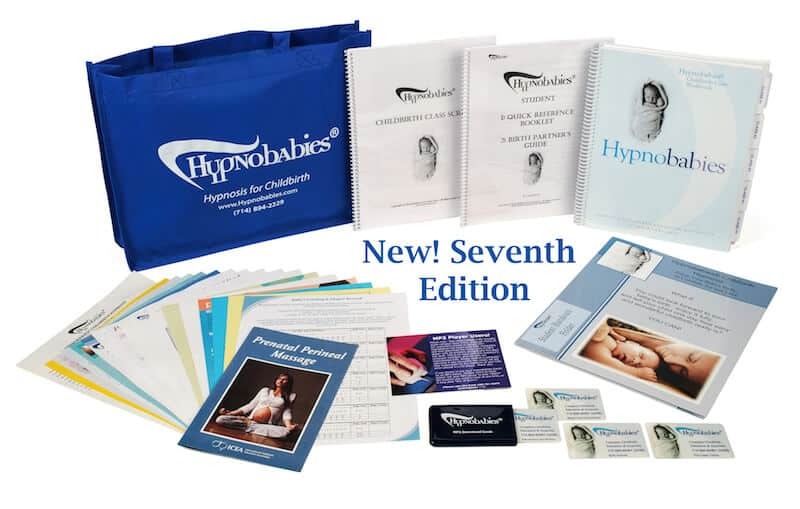 Top 10 Reasons Why We Love the Hypnobabies 7th Edition! 10- Your hypno-anesthesia now has a color component. It is orange! This allows the hypno-anesthesia to exist mentally and emotionally in a more substantial state. The color orange has effects like a boost in aspiration, increased oxygen to the brain, increased contentment, and enhanced assurance among other great things! 9- The scripts have been re-written to include even more gentle language than before. They are beautiful! 8- Past Hypno-moms will remember their daily Finger Drop practice from week one that evolves into “Eyes Open Childbirth Hypnobabies” practice as the weeks go on. There are now MP3s to guide you through this practice so you don’t have to remember the steps all on your own! 7- Brand new music underlying all the tracks. This music has binaural beats which means if you listen with headphones there are different tones with slightly different frequencies coming in each ear and your brain uses this input in a really amazing way! Neural pathways fire more rapidly and electrical and energy pathways in the brain become more widespread throughout the brain. Amazing eh? This all means you can enter hypnosis more easily and faster with the new music. 6- Each week of the course includes a Mindfulness Connection component. Mindfulness is a practice that we can all benefit from, not just for preparing for birth, but in life! 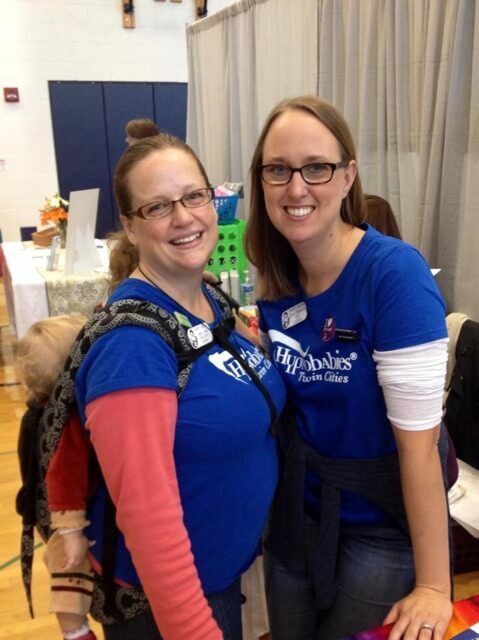 4- The most current information about prenatal exercise including alignment information from HBTC’s own Lindsay McCoy! 3- Great new handouts like a seafood watch card, FDA keepsake ultrasound warning, Hypnobabies tools and tracks cheat sheet and a “PEACE” sign to tape over your clock! 1- Overall there are a ton of updates to all of the childbirth education components of this class. New articles to cover in class, including all the most current research. This is the ONLY childbirth preparation class you need because it is so extensive. Also, because it was just updated you can be confident that you are receiving the most current information about evidence-based birth practices. Thanks to Hypnobabies Twin Cities for sharing this with us!